Our Carpenters and Painters have joined together again to make sure every aspect of this Merbau timber screen is looking good. We appreciate the finer details of each project we undertake and are always looking to improve our work. 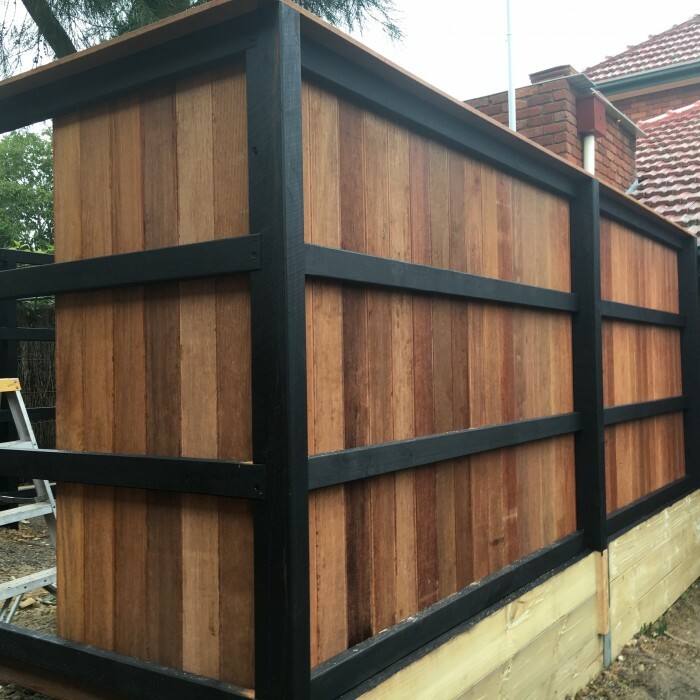 On our currently running Warrandyte project we were asked to build a timber screen to a private bathroom retreat. Its quite easy to dress the front side facing into the bathroom but we wanted to make every angle look amazing. We chose to paint the treated pine frame in a straight Black exterior low sheen paint. The contrast between to the two colours was amazing and really made the Merbau timber tones pop. At MJ Harris Carpentry we endeavour to make every part of our renovation count.